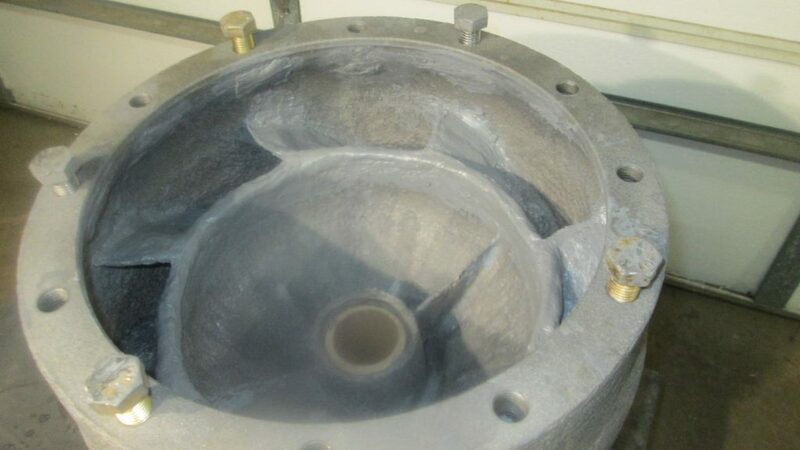 This is the first application coat of PES 202 Ceramic repair fluid. 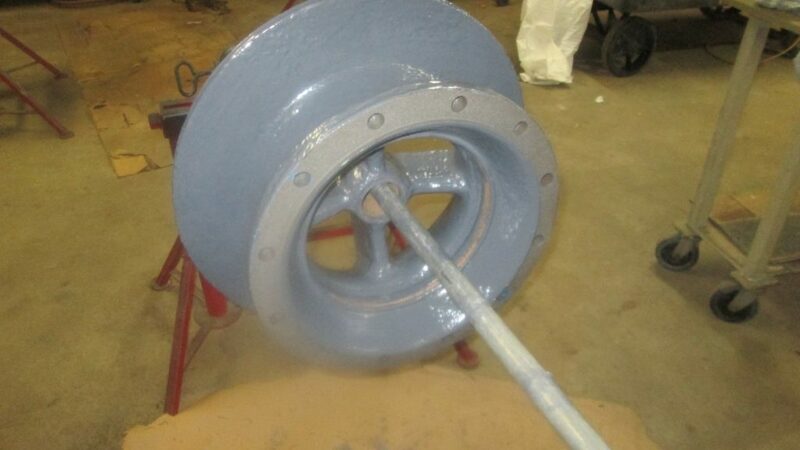 This is the second coat of PES 202 ceramic resurfacing fluid coating that we applied. 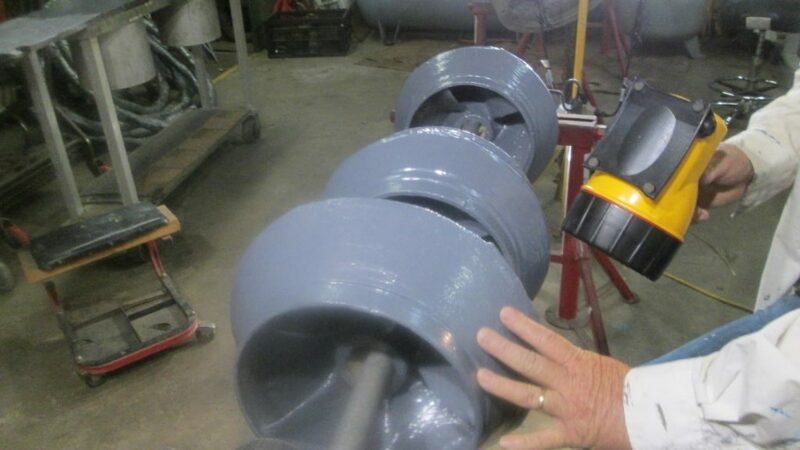 We rebuilt and resurfaced 4 separate pump diffusers with our PES polymeric repair systems. 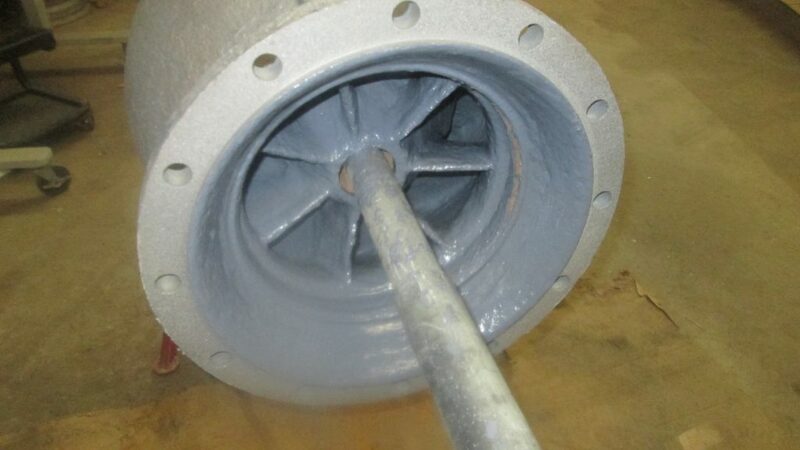 In addition, we rebuilt and resurfaced 3 impellers with PES polymeric repair systems. For more information on our PES 202 Ceramic repair fluid for impellers with erosion, contact us here at PES with the link below! 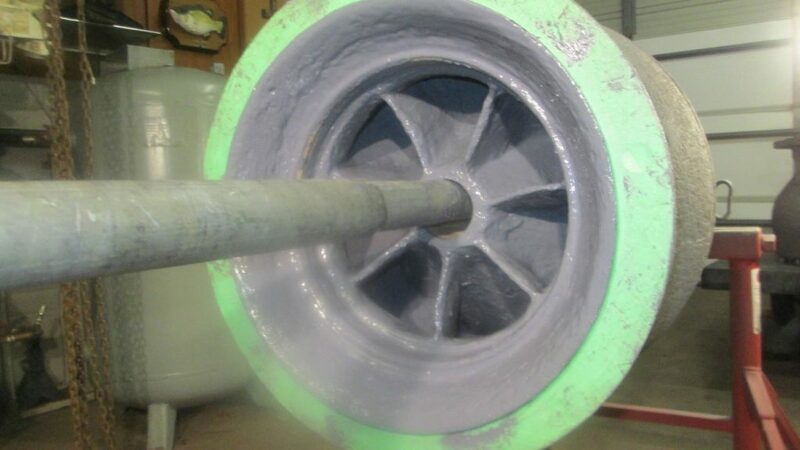 This entry was posted in Reinforcement Products and tagged Erosion, Impellers, PES 202 Ceramic Repair Fluid. Bookmark the permalink.